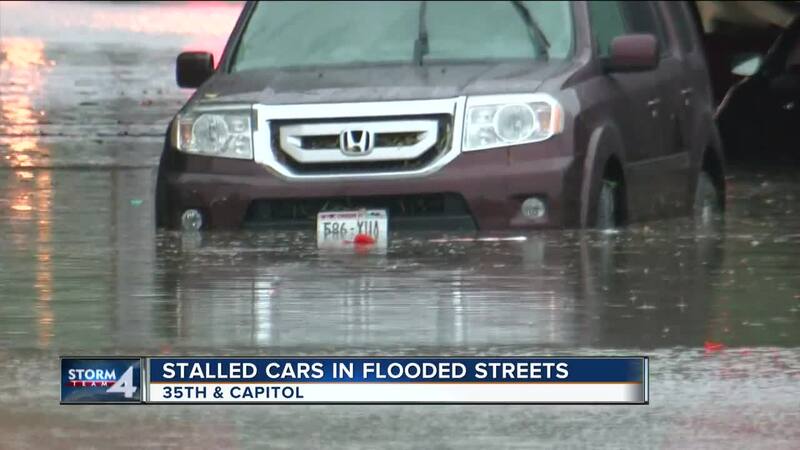 Five vehicles got stuck in the water at 34th and Capitol Monday. Tracey Underwood said it was the scariest moment of her life. “It was like a pipe must have busted or something. All the water just went up and like this and the cars went like that,” said Underwood. Underwood is thankful someone pulled her out of her car. “He just came under the water, opened the door and just pulled me up,” said Underwood. Underwood said she was submerged under water. “It was like a scary movie it was intense it was crazy," she said.